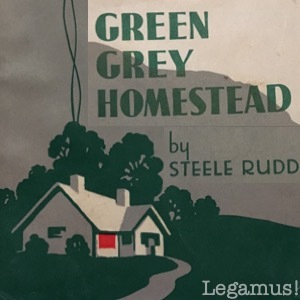 [Section number] of Green Grey Homestead by Steele Rudd. This Legamus recording may be distributed and adapted freely for any purpose. "End of Green Grey Homestead by Steele Rudd. For more information or to volunteer, please visit Legamus.eu"
Last edited by lezer on Sat 9. Feb 2019, 22:56, edited 3 times in total. I'd like to start a new solo. The previous one is just waiting for proof-listening. I haven't found an online version of the text, but I have a first edition of this book from 1934, and will be happy to upload a scan of the title page for the record. Found this book on my trip to Australia in June. I know my voice (accent) is perhaps not the best fit for this Australian book... but will do it anyway. The book is written in the 2nd person, which I think may work well in an audiobook. Thank you! No apologies necessary, we're all volunteers and there's no rush. I held off replying in this thread as I away for most of September, but I'm back in the saddle now. Do you still stand in need of a DPL? Yes, absolutely! Thank you for your nudge! I've recorded a few chapters, need some editing - but it always helps when I know for sure that someone will be listening! If you prefer, I'll try to upload the first chapter tomorrow, and you can take a listen before you commit to PL. It's written in second tense - I'd never encountered that way before, but I think it works in an audiobook. Ah, yes. It's that feeling of just sending chapters out into the void. Recording generally feels like that, but especially so when you're recording something without a DPL. Upload at your leisure. I'm sure you have various projects on the go. Hmmm, I'm not exactly sure what happened, except that lots of things were going on in my daily life... But somehow it took me a month to return to this project... My apologies. No worries. I know the feeling! Chapter 1 is PL OK. Chapters 2 and 3 are PL OK. I guessed at the MW password but guessed wrong! When you have a moment, could you please send it on? Password is in a PM. Chapter 4 is PL OK. Thanks for the password! Chapter 5 is PL OK. Have a good start to the week! 2 more short chapters ready! 6 and 7 are PL OK! Thank you - 2 more chapters ready. Chapter 11 had a young man with a stutter, and the stuttering was really written out (eg "And d-d-did he sh-sh-shoot it, S-S-Sam? "), so I tried to do it in a not too exaggerated way... But you'll encounter a lot of those stutters in that section.